There was a time when drinking soda was enjoyed only once in a while, at special occasions. Nowadays, though, it has become a daily fixture in American life and is readily available in a variety of flavors and sizes. How long can you last before needing your next soda fix? What effect could your soda habits be having on your teeth? In Dr. Walker’s (Chandler, AZ’s, top dentist) blog, we are going to answer those questions. Approximately one-half of the U.S. population consumes sugar drinks on any given day. Males consume more sugar drinks than females. Teenagers and young adults consume more sugar drinks than other age groups. 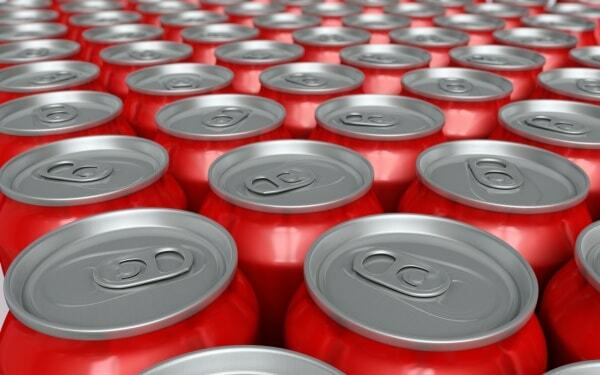 As thirst-quenching and enjoyable as a cold soda can be, it’s important to realize the effect it has on your teeth. Soda pop is harmful to teeth in two specific ways. Sugar: Most sodas are loaded in sugar, which feeds the plaque that accumulates on teeth. The sugar converts into acid, which in turn breaks down tooth enamel. This can result in a host of oral health conditions including tooth sensitivity, cavities, gum disease, and tooth loss. Acid: While diet beverages may not be as harmful as regular sodas because of a lesser sugar content, both remain very acidic. In fact, some diet beverages compensate for flavor by adding even more acids. Phosphoric and citric acid, common ingredients in many popular sodas and diet sodas, alter the pH balance in the mouth, and can cause irreversible tooth erosion over time. Lower the amount you drink on a daily basis and consume your soda during a meal. Use a straw and avoid swishing the soda around in your mouth. Rinse your mouth out with water afterwards. Brush your teeth regularly and visit your dentist for a cleaning and exam every six months. Chew sugar-free gum containing xylitol. Next time you experience a craving for a soda, stop and think about your teeth and try to consider a healthier option—one that will keep your pearly whites smiling proudly for years to come. Tell us: Are you hooked on soda pop? What dollar-amount would you accept in order to be willing to give up your soda habit completely?